Should You Publish Your Prices? Absolutely yes! And no! (It depends on what you are selling.) Here's a quick guide for selling your designs, whether they cost $10 or $10,000. 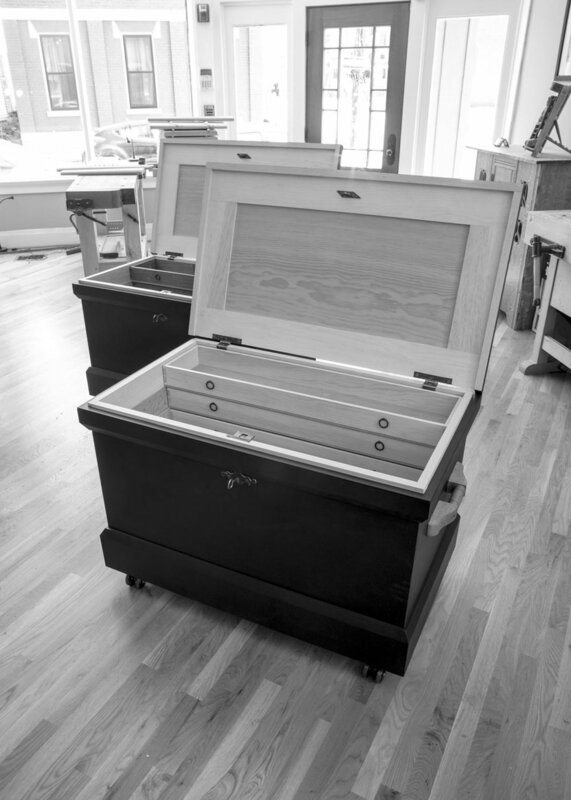 When I make tool chests for customers, the price starts at $4,000. But the only way to find this out is to ask me (or to read this caption). I don't publish a price list for the one-off furniture pieces I make for customers. Here's why. A few years ago a potential customer emailed me to inquire about one of the pieces shown on my website. It was listed for $2,000, but he was wondering if he could get it in walnut instead of black cherry, built a bit larger and covered with a more durable catalyzed finish. Of course, I replied, and I quoted a price of $2,500. His reply made me sit down: "Thanks. I'm building this piece for a customer, and now I know exactly what to charge them." Pricing your work is one of the hardest aspects of running a business where you make things for people. A close second is deciding how and when to disclose your prices to the public, your potential customers and your competitors. 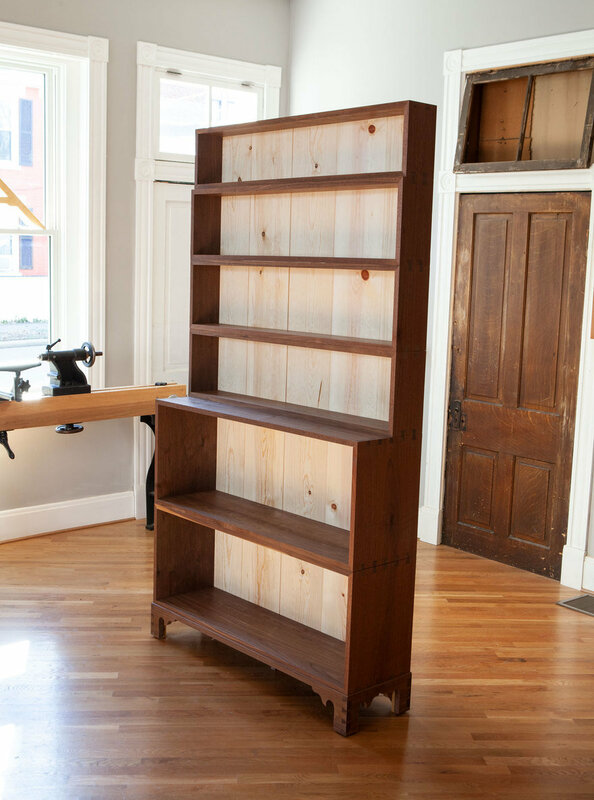 I make a lot of stuff, from books and simple tools that start at $20 on up to custom workbenches built with 18th-century oak imported from France that can cost $10,000. So I use a variety of strategies to decide when – and how – to tip my hand about my price sheet. I don't pretend to have all the answers to this dilemma, but I have found a strategy that keeps me in business and avoids ticking off too many people. Here it is for you to chew on. 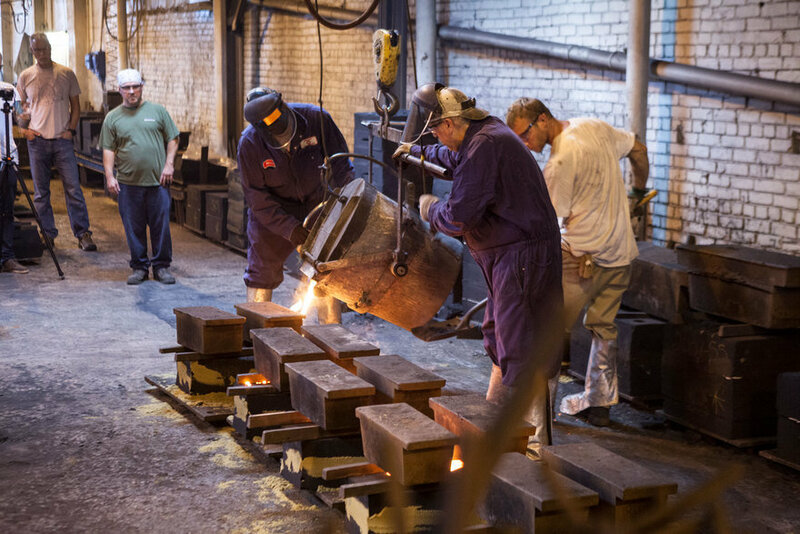 We produce hundreds of tools every year using a local foundry. 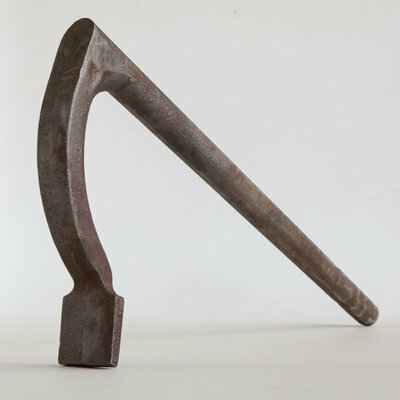 We are happy to disclose the price of these mass-manufactured tools – how else can we compete? If you sell something that you make hundreds or thousands of, then (obviously) you should be upfront about your prices. If you make customers inquire about the price of a $30 widget, then they are going to wonder if all your customers are treated the same, even though they are all getting the same widget. Many potential customers won't even bother asking. In fact, I think that publishing a consistent price for a commodity product – such as a book, jacket or manufactured tool – is a key to building trust. At my company, we sell books and tools all over the world, and we insist that our retailers offer the same price (with some slight flexibility for local currency exchange rates) than we offer. Treat everyone the same – that's our motto. Because we do this, we've been accused of racketeering and subverting the free market. But it's a perfectly legal strategy called Minimum Advertised Price (aka MAP – thank you, U.S. Supreme Court). MAP allows you to set a price with your retailers and to cut them off if they violate the terms of your agreement. Of course, you have to be willing to slap down your retailers if they sell your goods below your MAP. And that's difficult. After two warnings, we cut ties with a retailer who violated our MAP on several occasions. It cost us about $20,000 in business per year. But once we did that (which made us poop our pants a bit), none of our other retailers since have violated our MAP. Here's a new batch of cabinet scrapers we're working on – we make these in batches of 1,000. Their retail price – about $20 – sends a clear message to the buyer about where they fit in the marketplace. Message: We charge a little more for this because we take great care to get it right. I hate to say it, but it's like making an example of someone and putting their head on a stick as a warning. Call it a "Game of Thrones" season 1 strategy. But MAP is easy. You set your price. You publish your price. Everyone can see it, and you have a strategy for making sure your prices are consistent all over the country and world. But what about publishing the price of expensive goods that are custom or nearly custom? My first commercial piece. In 1999, I sold these chairs for $500 (upholstery not included). I can't believe how many of these I made for so little. And yet, here I am. If you are just getting started as someone who makes custom things with a serious price tag, I think you should disclose your prices. And they should be a bargain compared to the old dogs in the marketplace. That's what disruptors do. As a beginner, your biggest asset is that you're willing to work for less money. Some customers will take a chance on you because they are cheapskates, broke or simply like the underdog. If you're savvy, you will produce an excellent product and earn their loyalty. Then, over the long term, you can raise your prices to be in line with established competitors. As someone who has sold custom furniture since the 1990s, I have been on both sides of this equation. 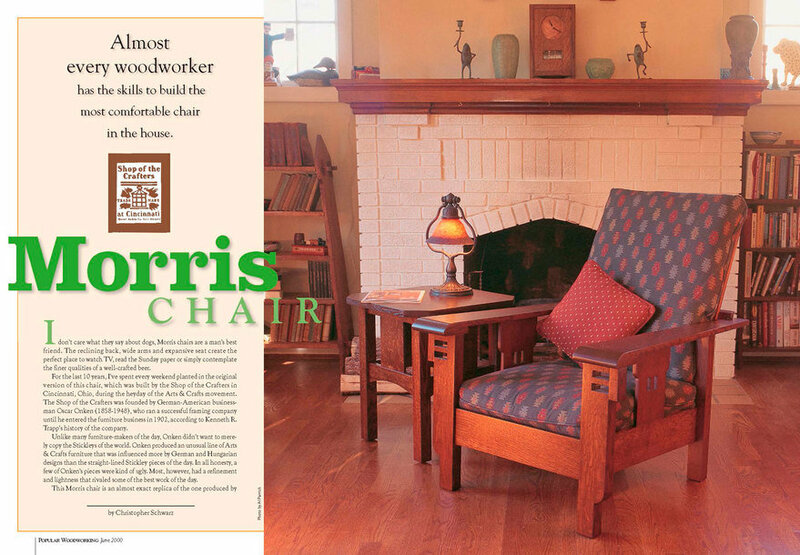 I sold my first Morris chair for $500, which was one-fourth the price of the competition. I got my foot in the door, and I now charge market rate for that same Morris chair. Now I have people undercutting my prices. So if you are new to the market, definitely disclose your prices. You don't have much else going for you (except for a pretty website and some photos) until you build your reputation. This piece – an improved copy of a bookcase at Monticello – was custom all the way, from the selection of the wood to the arrangement of the dovetails. And the price reflected all that work. If you've been in business for a while and you do custom or semi-custom work at a high level, I would avoid publishing your prices. First off, you want to make it difficult for the disruptors to disrupt you. Force them to do some research and make mistakes. If you've done a good job of building your business, then you shouldn't be desperate for new business. That said, you absolutely should be open to taking on some new business. Honestly, I'd be happy if I never had another customer ask me to build them an English campaign secretary. But those new customers represent my next generation of customers. No matter how well I treat my existing customers, I might lose a good one to bankruptcy, divorce or worse ("worse" is not death – what's worse is if they embrace the "tiny home" movement and get rid of all their furniture). I know that all this raises a huge question: If I don't publish my prices, won't I lose potential customers who are too shy to ask? You might. But if you have a stable business, this shouldn't worry you. If it does worry you, you might not have a stable business…. There are ways to communicate to potential customers that you don't charge $20,000 for a turned shot glass. Here's how I deal with this issue on the website where I sell my custom furniture (christophermschwarz.com): "You'll find my prices are quite fair compared to high-end gallery work on the coasts. Plus, many times purchasing a new custom piece can be less expensive than the cost of a rare original or antique. I work with a wide range of customers, from long-time collectors to new families who need a chair for the nursery." This sort of language happens to attract exactly that sort of clientele. 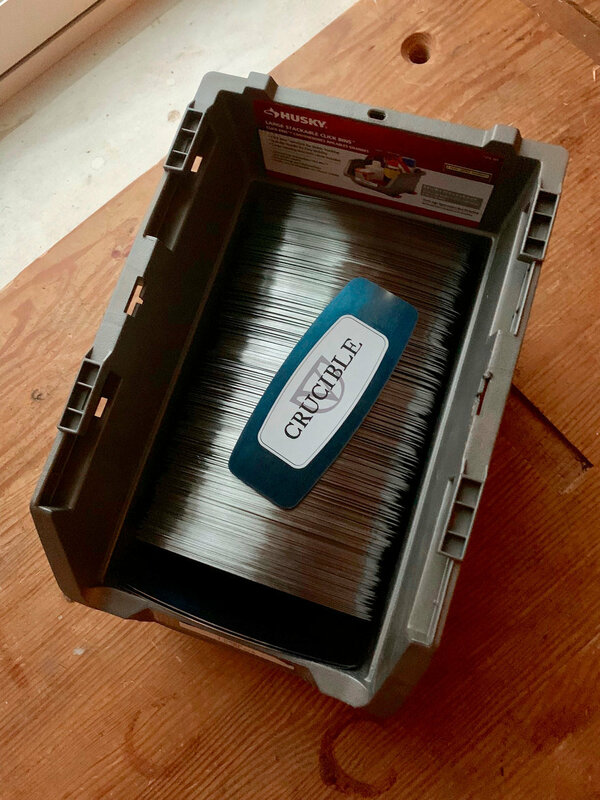 I do ridiculous work for people who want the ridiculous, and I do down-to-earth work for people who are buying their first piece of custom-made anything. Most of all, the statement on my website gets people to ask me: How much is that bookcase in the browser window? What you do next is important. The wrong thing to do is simply send them the price. Instead, I reply with a list of qualities of the object and conclude with the price. In many ways, I try to make the case that what I do is actually quite inexpensive for what you get. 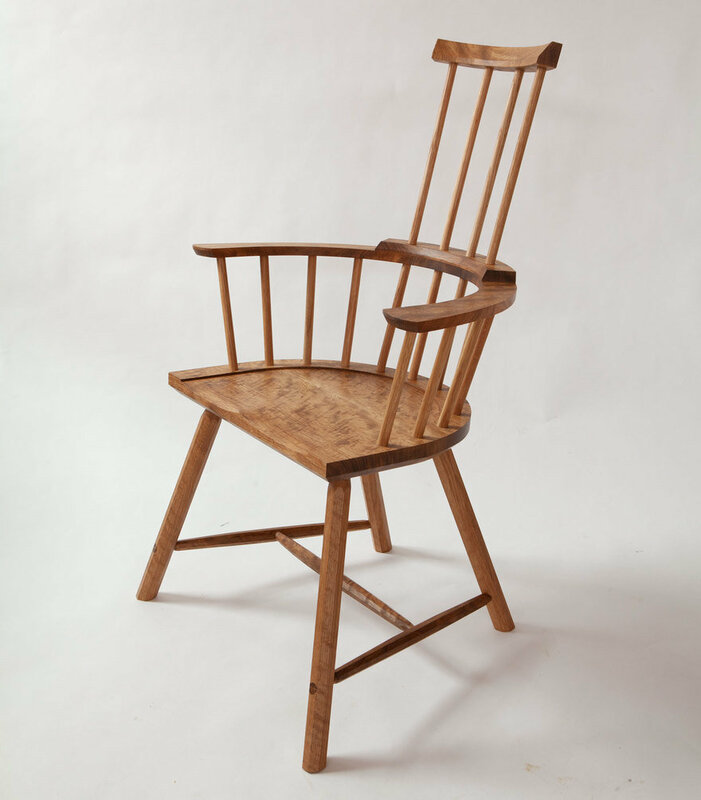 I've made Welsh stick chairs for sale for 16 years. My price has slowly risen from $700 apiece to $1,000. Chairmakers are doomed to poverty (which is why I also make casework). - All my chairs are built from sustainable local hardwoods from sawmills I've come to trust in the Midwest and Appalachian regions. You can choose from a variety of beautiful woods. The basic chair is made in red oak, but you can spend a little more to get one in black walnut, cherry, hard maple or curly white oak. 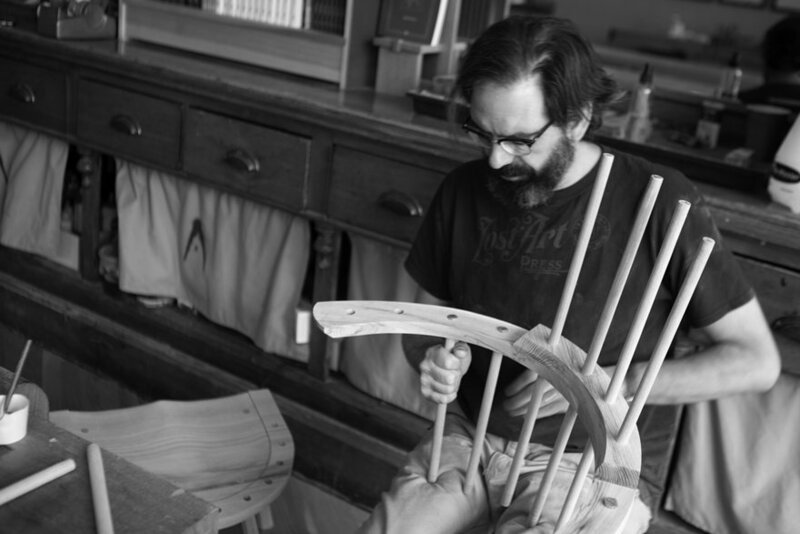 - My chairs are built and finished entirely by me – no subcontractors – in my workshop in a converted 1896 barroom in Covington, Ky.
- All my chairs are made with hide glue, an ancient, responsible and repairable adhesive that ensures your chair will easily last 200 years. - Like custom clothing, your chair can be sized to fit you in particular. Or it can be made to suit a more general audience for dining, keyboarding or lounging. - The basic finish is 100-percent organic linseed oil and beeswax. It's safe enough to eat and requires little maintenance. Synthetic and other natural film finishes are also available. - My chairs are guaranteed for life. - The chairs start at $1,000, which includes delivery within a 100-mile radius of Cincinnati, Ohio. Reasonable trucking rates are available for further locales. Let me know if you have any questions about the chair, the materials or how I work. This approach works. You might think my price is low or exorbitant – that's besides the point. What's important is that customers who ask about the price receive a gentle argument that justifies it. This is what the customer is paying for. It's a bit romantic – one guy building a chair just for them – but it's the truth and it keeps the lights on. I know it seems snobby to keep your price sheet under wraps. And honestly, if you've been in business for a while, then word will get out on social media or internet forums as to what you charge. A customer who does her homework can usually figure out what you have charged for an item in the past. People talk. But even though I know the above is true, I stick to my guns. Why? Because it forces the customer to reach out to me and talk. They can't just click the "buy" button and get a set of dining room chairs. What I sell – aside from custom work – is an experience you cannot get at IKEA or Ethan Allen furniture. I'm a guy who builds stuff. If you talk to me about what you want, I can make you happier about a chair, dresser or bookcase/coffin than you ever imagined possible. And that experience is something you can't put a price on. Christopher Schwarz is the editor at Lost Art Press and one of the founders of Crucible Tool. He works from a restored 1896 German barroom in Covington, Ky. You can see his furniture at christophermschwarz.com. Christopher Schwarz is the editor and one of the founders of Lost Art Press, an independent publishing company that specializes in books on hand work. He is one of the founders of Crucible Tool, which makes hand tools for woodworking. And he is a professional furniture maker with clients all over the world. Coming from an ancestral history of Pennsylvania Dutch charimakers, I loved this article! I enjoyed reading your article especially the part about replying to a price request. I wonder if another approach would be to figure out your own shop rate and use that as a base for your pricing. I made a riven oak box without a till with carved front and sides and it came to be about 560 bucks using my shop rate. Instead of using nails I dovetailed the sides which took a lot longer. But I wont sell it because it was a gift to a friend. I was curious on how long it would take. I suppose if I did this for a living it wouldn't take as long. But anyway do you use a basic shop rate? Thank you so much for this article, Christopher. This is something I've struggled with and I really like your approach. It's both down to earth and honest.